Live the good life in the heart of rural France. 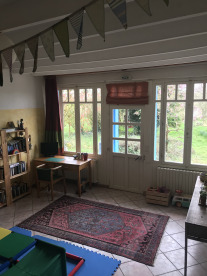 1.4 hectare smallholding with farmhouse, upstairs gite and eco lodge. 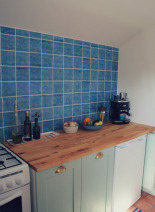 Currently operating as successful yoga retreat and holiday lettings business. 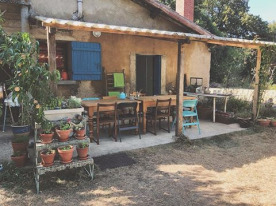 Located in scenic countryside, the house is only twenty minutes from the historic city of Poitiers and less than 1.5 hours from the coast at La Rochelle. 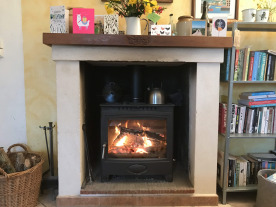 The ground floor has three spacious bedrooms, two bathrooms, a large catering kitchen, dining room and living room, with feature fireplace and woodburner. 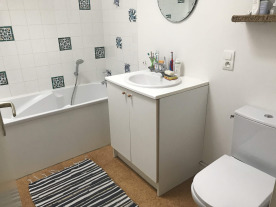 The first floor is a very recently renovated, self-contained apartment, with separate entrance, two bedrooms, living room, kitchen and two bathrooms with bespoke fittings. 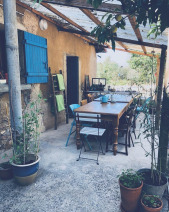 The house is perfectly set up for running retreats, a catering business or market gardening. The large catering kitchen has professional INOX units and opens out onto a spacious garden terrace. There are also extensive outbuildings, including a large workshop space with electricity and drainage, and a detached barn with potential for conversion. The detached eco lodge is a beautiful and unique space, renovated using local, traditional and sustainable materials. The lodge runs entirely from renewable energy provided by a wind turbine, solar panels and solar water heating. 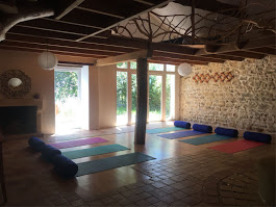 This is an ideal rental property or guest accommodation, which is currently functioning as a gite and a yoga studio. The lodge has an open plan ground floor reception room and fitted kitchen with fireplace and feature woodburner. 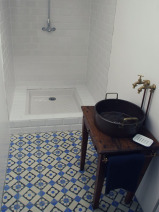 There is an open plan bedroom and bathroom on the first floor, with solar heated corner bath. The smallholding is perfect for keeping animals, it has existing poultry housing and shelters across the land. There are established vegetable beds and a wealth of fruit trees and bushes, including peach, cherry, fig, walnut and apple. 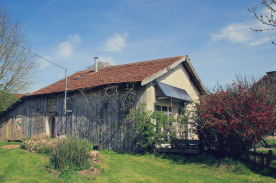 A perfect opportunity to live the good life in a beautiful region in the heart of rural France.